This could be one of the most useful pages you’ve come across on the internet for Christmas and the rest of the year in a long while! Once your kids are a certain age, you find yourself spending a good number of your weekends at other kids’ birthday parties… and that can get expensive! Wouldn’t it be great to have on hand a list of toys that the birthday boy or girl will truly love AND will cost you less than $20 a pop? 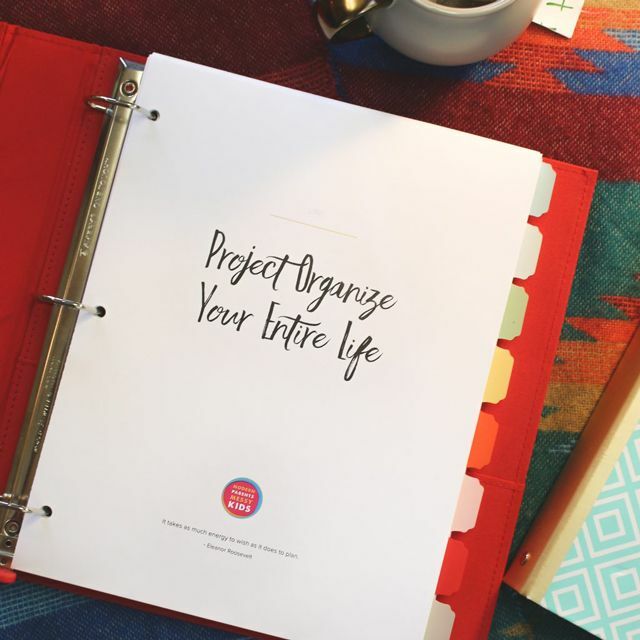 …Today I’m giving you a glimpse of just that list! A really nice present for a friend that just had a baby is this book bundled with the books Numbers Colors Shapes and the book First 100 Animals. Along with Freddy the Firefly, our favorites were the moose and inchworm (which also plays music). You know those lovely early months when many babies scream just about the ENTIRE time they’re in the car? This musical toy that’s easy to hold and has button big enough for baby to push on his own was the only thing that ever got my kids to stop – it was worth its weight in gold I tell ya. It was also great for getting my babies’ attention in times of non-stress. Balls are excellent for open-ended play and motor development for babies and younger toddlers – truly, every child should have a set. The varying textures, colors, and sizes of the balls in this pack make them extra great for sensory engagement and they’re BPA-free so you don’t have to worry when your baby inevitably starts mouthing on them. We got this dog as a hand-me-down from friends whose kids had outgrown him. The puppy’s a cuddly and engaging first friend and our 1 1/2-year-old is quite taken with him. He has two modes – learning and musical and identifies body parts, colors and sings lots of fun songs when various body parts are pushed. Also, the one for sale is a newer version. New features include Smart Stages technology-learning that changes as baby gets older with 3 levels of age-appropriate play. Also available in the “Sis” version too… I left the link to the original puppy up top so you can see all the amazing reviews he’s gotten over the years. I used to list just the hand bells from this company in this guide. Our toddler group class had them and they were always a big hit whenever they were pulled out – easy and fun for baby to use and great to play with while singing together. Then I saw this musical kit for baby and fell in love. Going beyond the hand bell, this kit contains three additional instruments that baby can easily grasp and shake. Even before baby is old enough to hold these toys on her own, she will delight in watching and listing to others shake them. Older brothers and sisters also really enjoy getting in on the action too so it’s not a bonding activity for everyone! Then my baby boy kept trying to steal the leopard so I decided to see if he’d actually sleep with one of his own (all previous attempts to get him to keep a “lovie” with him in the crib had utterly failed). This is one of the few plastic, noisy toys that all three of my kids truly loved when they were tots. It seems all young kids love dropping things into slots and taking them out again, so that part was a guaranteed hit, but my littles also took to the songs and prompts encouraging counting along, comparing big and small and (new to this model) discovering mommy and baby animals. This is another one with a huge amount of positive reviews on Amazon. In fact, it has over 400 reviews andan average 5-star rating! One of the most surprising things about having toddlers and preschoolers is seeing how much they absolutely LOVE to clean! We’ve had a broom and dust pan set for years. The kids really enjoy breaking it out to help with clean up when the opportunity arises or just using it to play pretend. Every toddler we know has this set and totally adores it and our 18-month-old completely freaks out when he can’t find it. This year, though, I’m totally eyeing this set- it comes with so much amazing stuff!! With this set my toddler will get to spray, wipe, scrub, and even squeegee. Do you KNOW how much toddlers love, love, love to spray and wipe down windows, cabinets and anything else they can get their hands on? This one is a sure slam dunk for any toddler on your list- guaranteed! I still remember my son receiving his first set of award-winning Megabloks for his 1st birthday. It took him a little while to figure out (kids typically grasp block building somewhere between 12 and 18 months), but once he did he started building like a mad man and never looked back! All my mom friends and I love Mega Bloks for our youngest kiddos, even more than the classic LEGO duplos. The locking mechanism is just a little bit easier for beginners to put together and pull apart. Plus the colors are beautiful and the zippered bag is very handy. I promise you, if you a buy a toy stroller for your child, it will be one of the most-used toys you’ve ever purchased. We bought these trucks several years ago for our very first (of many) sensory bins and couldn’t have been happier. They’re the perfect thing for shoveling, scooping, dumping, mixing, and driving over all sorts of sensory materials from sand to colored rice and the price can’t be beat. We’ve loved these trucks so much that they’ve been worn out and we will be buying a new set for our young toddler as soon as we make him a bean box. My parents gave the kids a couple of these reusable sticker books a few years ago for Christmas and they’ve been a consistent standby for us ever since. Each of the books contains a series of background pages and hundreds of various sticker clings that can be positioned over and over on them. There are tons of book themes to choose from too. Whether playing with mommy or a favorite doll, tea time is always a fun way to pass some time. We’ve had this set for over a year and it still looks like new (despite lots of use in the playroom, bathtub and even sandbox). Plus I love that Green Toys are 100% recycled, made from milk jugs, are FDA approved to eat and drink from, and do not contain BPA, phthalates, or lead paint. What more could you ask for? I picked this up on impulse while birthday shopping for my son a few years ago. So glad I did – it was a HUGE hit. Kids ALWAYS love it and it seems like a natural gateway toy to wanting to explore robotics. I’m kind of in awe of these Take-A-Part kits (there’s an airplane, crane, 4×4 and roadster available). They combine my son’s two absolute favorite activities: building and playing with things that go vroom. Plus kids put together their sets using a working power drill with 3 different bits. The reviews on this one are stellar and I’m totally sold! The components aren’t intimidating, snap together simply, and can be used to create a bunch of cool projects. These adorable finger-sized animatronic monkeys are the “It Toy” of the year. In fact, it’s the end of September as I’m releasing my gift guides and they’re already completely selling out everywhere. These pets react to sound, to motion, and to touch. They love to hang onto your kids’ fingers, backpacks, other toys and pretty much everything else. With over 40 animations, kids can rock them to sleep, blow them kisses (and have them blown back), make them sing, and much more. Like a lot of the hot toys out this year, they’re also incredibly life-like. They blink their eyes, turn their heads, swing by their tails, fart, and more. Plus, if you can get them at retail price – they’re cheap!! 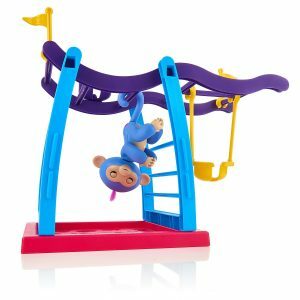 And the Fingerlings Jungle Gym for even more extended play time fun (as well as a handy place to store the little guys so they don’t get lost). Another way to go are these 40 Piece Money Stix sets that seem to have been quickly produced by an industrious 3rd party company. I am really digging that with this playset version kids get to engineer their own setups for their fingerlings, plus it’s not another bulky toy to have to store somewhere. If there is one thing that elementary aged kids just can’t get enough of, it’s collectibles. From Shopkinsand Funko to Pokeman, small things that they can hoard like crazy are basically catnip to kids this age. And since toy manufacturers aren’t dopes, there are a few brand new collectibles that are sure to fly off the shelves this year (seriously- buy one or two for each of the special kids in your life now while you can still get them and they’re not stupid expensive). All the rage this year are the already uber-popular L.O.L. dolls. Let me just start by saying that every year when I start researching for the gift guides I tell myself I cannot start buying for my own kids until at least October… and every year I fail because I see something that I know they will love and I know will be hard to get later. This year, this was the thing I couldn’t resist buying in September for my daughter. Note: Because these things are so popular this year, there are a lot of imitations. When you buy, be sure the company is “L.O.L. Suprise” and that it is shipped and fulfilled by Amazon. These little balls of joy have all the miniature cuteness that’s required in a collectible for girls this age, plus a couple of really cool features. The doll itself is also a surprise in how it reacts to water. The many change color, drink, spit, tinkle, or cry. These fun clubs encourage families to decorate their own rocks at home, hide them somewhere in town and then join a facebook group to leave hints about where you left your rock and also to get hints on where to find other rocks around town. 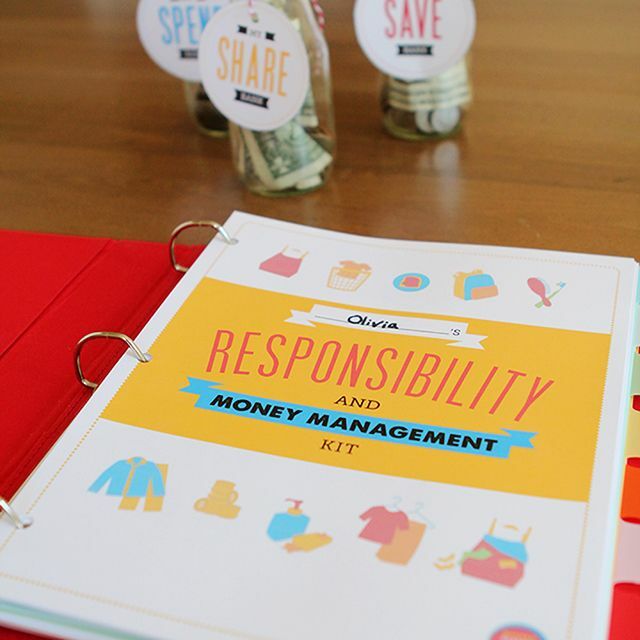 This is a family activity that has so many beneficial elements for your kids. They get to flex their investigative skills in your community while being creative, social, giving and adventurous. Plus, they spend time with the family (and maybe even learn a little about using the internet safely with you). Ok, so clearly I’m into the rock clubs- but even if you’re not, your kids will still love painting rocks for their own homes or just for sharing with friends. And if they’re gonna do it, THIS is the kit to get. The biggest thing about this kit is that it comes with a tub to keep everything in!!! This is major! The one thing I do not dig about rock painting is the potential for half-painted rocks, paint and brushes scattered all over the house. This will keep it all contained! It also comes with a lot of things other kits don’t, like 8 very cool shimmering metallic markers, a paint mixing tray, and finishing glaze. Of course, it also comes with acrylic paints in white, black, brown and the primary colors. At first, I thought that didn’t seem like enough colors but then I watched the video above and realized the idea is to use the primary colors to mix your own secondary colors. Another learning element great for preschoolers and kindergartners! Seizing on that love of all things mini that I wrote about above, the Hatchimal people made a whole variety of mini eggs. Open these guys by rubbing the hearts until they change color and they crack. Works a little differently but the excitement is the same and the lower price point sure is nice! These will make great stocking stuffers and kids will love this nursery playset once they collect several collEGGtibles. Speaking of dolls that send the right message to our girls, I’m loving the new line of DC Super Hero Girls. Not only do they have a very fun look, they also send a great message of empowerment. I also really appreciate the articulating limbs so kids (both girls and boys!) can use them for acting out all sorts of superhero moves. You can buy the larger 12″ dolls individually or go in for the 6″ versions in a three pack or six pack. This 150 piece art set gets great marks for everything from its special looking case that keeps all the components snapped in place to the quality of the art supplies inside. If your child is getting serious about art, this gift will show them you are proud of their burgeoning skills and it’s sure to thrill. Pokeman has taken the kid world by storm. If you have a Pokeman fan in your house, think about going above and beyond the Pokeman card set and go for 4D play instead. I gave my son just the Pokeman ball and Pikachu in his Easter basket and he flipped out… I think his head might have actually exploded if I’d found this belt set! This one is a winner for sure. There are a large variety of sets to chose from. I’m loving the Horse Stables Construction Set as well as Saige’s Art Studio and at $2 – $4 a piece, the American Girl figurines make great add-ons to any of the sets or stocking stuffers! Billed by many as “the runaway toy of the year” a few years back, this award-winning loom is the most exciting thing to happen to kid jewelry since the advent of the friendship bracelet. Using a special loom and the multitude of colorful twistz bandz that come in this kit along with a myriad of video tutorials available on YouTube, kids will spend hours happily creating with this fun kit. My daughter has been playing with her kit for years now. This is easily one of the biggest “bang for your buck” toys we’ve ever bought. This is such a popular toy and it’s no mystery why. Kids absolutely love playing school, especially when they have awesome props like this, and parents love how it fosters a love of learning. We bought it for my 4- and 6-year-olds last Christmas and they play with it ALL THE TIME. From the manufacturer, “Part of the Pretend & Play line that fosters healthy early childhood development by helping kids interpret and imitate the world around them. The key to a good indoor toy is it’s ability to wear a child out without requiring a lot of space to do so. This soft pogo jumper is an Amazon #1 Best Seller because it does just that. This is an amazing series of books full of interesting facts and close-up pictures that kids will find fascinating. There’s one for virtually any topic your child is interested; animals, atlases, space and more. Get the First Human Body Encyclopedia to use all on its own or as a companion to the squishy human body kit above. This is another card set I’ve had my eye on. Again the illustrations looked beautiful and I like how there’s a story element to go along with each of the poses. Plus the set got great reviews on Amazon. When I pulled the trigger and finally got them for Christmas, I wasn’t sorry. Both my preschool and elementary aged kids return to these cards again and again and it’s a great activity for them all to do together, especially because some of the poses require two people. Their current favorite way to use them is to put them in a big circle on the floor, play music, and do whatever pose they land on when the music stops. A wonderful option for introducing your child to geology is this fun excavating kit. My daughter has been so into crystals and “discovering treasure” for the past year that I could see her truly loving this. These award-winning kits allow your children to author, illustrate, and publish their very own book hard cover book. My daughter and I have been making books together at home for a while now so I’m excited to surprise her with this kit allowing her to make a professionally printed book. I also love the comic book making kit for kids who need a little encouragement in the areas of reading and writing. From the manufacturer, “Lulu Jr. allows children to become published authors, encouraging creativity, strengthening literacy and building self-esteem. Your child writes and illustrates their own original story that will be printed as a full-color, hardcover, professionally printed book. You choose whether to mail your completed book pages to them in the included prepaid envelope, or you and your child can create the book online. The final product showcases your child as the published author on the book’s back cover using our ‘About the Author’ feature. This is another series of kits, much like the LEGO City collection with the difference being that each kit can be used to create 3 totally different things. My son thinks this is especially awesome and I did a lot of research to find the perfect set for his 6th birthday. We settled on the LEGO Creator 31011 Aviation Adventure and we were not disappointed! The photos don’t do justice to the sheer size of this thing! That and the number of pieces involved in the build truly make this the next level in LEGO builds. Plus, it actually has moving parts (pull back the landing gear to make the propellers move, slide the cockpit windshield back and up to insert and remove the two pilots, etc.). Have you heard of this Uber popular game yet?! This hilarious card game made Kickstarter history by becoming it’s most backed project ever. Kids and adults alike cannot get enough of the bizarro premise of a kitty-powered version of Russian Roulette. To play, players draw cards until someone draws an Exploding Kitten, at which point they explode, they are dead, and they are out of the game – unless that player has a Defuse card, which can defuse the Kitten using things like laser pointers, belly rubs, and catnip sandwiches. All of the other cards in the deck are used to move, mitigate, or avoid the Exploding Kittens. Check it out, you’ve gotta see it to understand… and then your whole family will be hooked! An award-winning game that centers around visual perception and speed. The goal is to be the first to identify a match on a pair of cards and to call out out the name of the figure in common. This is the type of game that quickly becomes addictive and will cause lots of laughs and (hopefully) friendly competition. Also check out the newer Disney Frozen – Alphabet and Disney Planes – Alphabet versions. This is basically the classic “Who am I” game with fun headbands that kids will get a kick out of. Kids will flex their deductive reasoning skills with the game’s simple question-and-answer premise. By making connections and coming up with questions that will lead to answers, kids will also practice creative critical thinking skills. We started with the thumbprint book, which is great for younger kids, and recently added the animal and vehicle drawing books for my son’s birthday as well as Picture Pie, which incorporates cutting and pasting shapes to make things step by step instead of just drawing. Check Out the Hottest 20 New Toys of the Year!